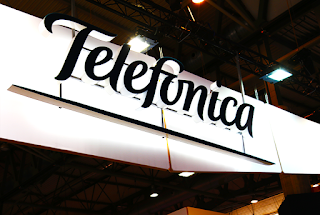 Vodafone and Telefónica UK agreed to extend their existing network sharing partnership to include 5G at joint radio network sites and to upgrade their optical transmission networks. The carriers said the expanded partnership will enable them to deploy 5G faster, to offer 5G services to more customers over a wider geographic area, and to do so at a lower cost. However, the companies plan to extend greater network autonomy in a number of larger cities by deploying their own separate radio equipment on approximately 2,500 sites, which represents around 15% of sites outside London. 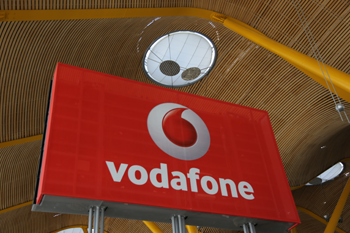 In addition, Vodafone and O2 further intend to devolve additional activities to CTIL, the 50:50 owned joint venture company that owns and manages the parties’ passive tower infrastructure. This will empower CTIL to take an enhanced role in the operation of the passive infrastructure, in order to improve the efficiency of its operations and pursue opportunities to add further third party tenants to the towers. In that context, the parties will explore a potential monetisation of CTIL after the new arrangements have been finalised. Amazon Web Services (AWS) signed an IRU agreement for the use of a fiber pair on MAREA, the transatlantic submarine cable partially owned by Telxius. MAREA is the highest capacity submarine cable in the world and provides the lowest latency route between the U.S. and Southern Europe. The route is further south than other transatlantic cables, with landing points in Virginia Beach and Sopelana, Spain. A field demonstration conducted by Acacia Communications, in collaboration with Microsoft and Facebook, achieved the first 400G single carrier DWDM transmission over the 6,600 km Marea submarine cable between Virginia Beach, Virginia and Bilbao, Spain. The transmission employed Acacia’s AC1200 coherent module, which is powered by its Pico digital signal processor. Utilizing Acacia’s patented Fractional QAM modulation, the field demonstration achieved 400G transmission using approximately 4 bits/symbol, with a baud rate of nearly 70Gbaud. Additionally, modulation formats greater than 4 bits/symbol were utilized to achieve a spectral efficiency of 6.41 b/s/Hz on the same 6,600 km cable. 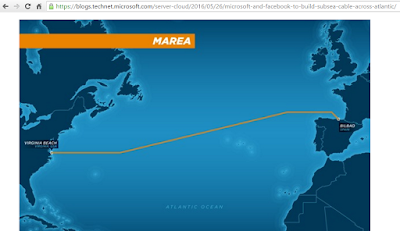 The Marea submarine cable, a joint project between Microsoft, Facebook, and global telecommunications infrastructure company Telxius, features an “open” design that allows it to evolve with technology and enables adoption of new technologies, such as the Acacia AC1200 coherent module. Arrcus, a start-up offering an independent, Linux-based network operating system, announced support for multiple 400GbE and high-density 100GbE switching platforms. ArcOS is a modular, extensible microservices-based networking software for building scale-out networks. A production release is available for switches based on Broadcom's StrataXGS Trident 3 and StrataDNX Jericho+ platforms. Arrcus is now adding support for Broadcom’s StrataXGS Tomahawk 3 silicon, with platforms from multiple ODM vendors, featuring 32 ports of 400G (1 RU) and 128 ports of 100G (4 RU). This enables use cases including hyperscale data center IP fabrics for deep learning workloads, massively distributed and inter-connected edge data centers in telco cloud environments (PoPs, central offices, edge computing clusters, etc.) as 5G networks roll out; and flatter topology of high-radix, low-latency storage environments using high-density 100G and 400G interconnects. Arrcus is based in San Jose, California. Broadcom's StrataXGS Tomahawk 3 switch series is now in mass production. 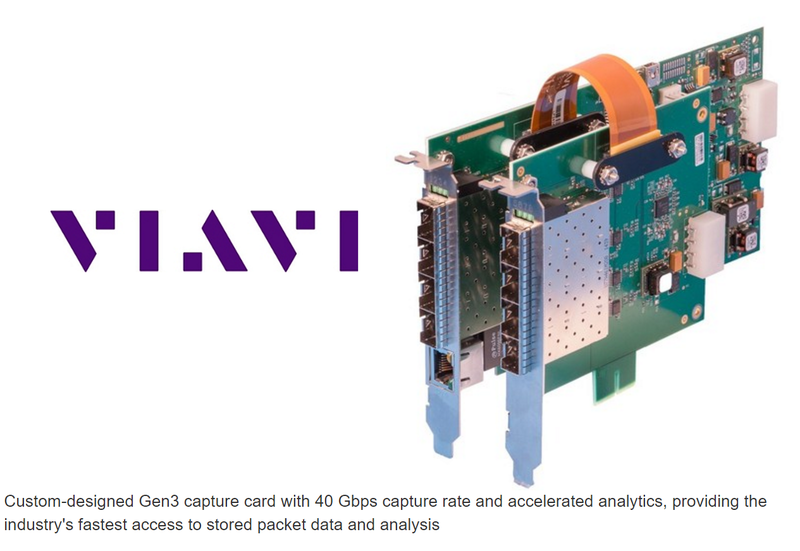 The Tomahawk 3 series supports high-density, line-rate 400GbE, 200GbE, 100GbE, and 50GbE interconnect for massive scale-out of software-defined cloud data centers. The Tomahawk 3 switch series features multiple devices at 12.8Tbps, 8.0 Tbps, and 6.4 Tbps based on the industry’s most performant 50G PAM4 / 25G NRZ SerDes technology. All devices in the series have completed extensive functional, performance, and reliability testing and have been qualified for volume production. Jingfang Optotelectronics (WLOPTs), which is based in Suzhou, China, has acquired Anteryon International B.V and Anteryon Wafer Optics B.V. Financial terms were not disclosed. acquired the Dutch optical precision components and assembly designer and manufacturer Anteryon to steal a march on new opportunities. Anteryon, which is based in Eindhoven, Netherlands, was spun off from Philips. The company is an assembly designer and manufacturer of precision optical components. Its core technologies comprise of IP and a proprietary world class replication technique to produce high-end hybrid optical lenses combined with ultraprecise glass and surface structuring, optical and mechanical coatings and opto-mechanical and -electronic assemblies including Hyper Spectral Imaging. Industrial applications range from semiconductor, industrial sensing/scanning, construction, agriculture, medical and security and consumer applications. "This acquisition is an important milestone in WLOPTs long-term growth strategy and provides WLOPT with access to key technologies for the development of miniaturized optical solutions for high-volume consumer applications, such as smartphones, next-generation security and automotive applications," said Wang Wei, WLOPT's chairman. "By leveraging our core competencies in building mega scale service, technology and IP businesses, we believe that we can effectively enter emerging application areas related to the Internet of Things and Artificial Intelligence, next to current applications as 3D scanning, Imaging and Fingerprint while vertically integrating in the value chain. The Anteryon technology and renowned team of experts in micro-optics, combined with our resources, will strengthen our ability to provide radically distinctive solutions in a variety of high-growth, high-volume consumer optics applications." The panel, called “112-Gbps Electrical Interface: An OIF Update on CEI-112G,” is scheduled for Thursday, January 31 at 3:45 pm (local). Since 2000, OIF has deﬁned Interoperability Agreements (IA)s for electrical interconnects known as CEI. CEI is a clause-based document that defines implementation details for interoperable electrical channels initially issued for 6 Gbps, then 11, 28, and 56 and includes definitions for multiple channel implementation topologies and will soon include 112 Gbps clauses. In August of 2016, OIF announced the first CEI-112G project in an overall effort that has now expanded to five projects. Rakuten, one of the world's leading internet services companies and soon to be the newest mobile network operator in Japan, selected the VIAVI TM500 system to support the rapid deployment of a nationwide, end-to-end cloud-native mobile network. Rakuten offers e-commerce, fintech, digital content and communications services to over one billion members worldwide. The company received approval for its 4th generation mobile communications system (4G) special base station deployment plan, and is targeting October 2019 to launch the new service. Rakuten's network will leverage cloud-based architecture, from the RAN to the core, an industry-leading level of automation, and collaboration with the top vendors in the mobile ecosystem. Viavi said Rakuten will use its TM500 for user equipment (UE) simulation as part of a state-of-the-art operator lab, designed to simulate and stress the network from end to end. As consumers and regulators increasingly demand highly resilient and high-quality network performance, the lab's mission is to provide all stakeholders with a high degree of confidence in the quality of service and reliability of the live network for both existing and future services. "Consumers across Japan trust Rakuten for services throughout their daily lives, from e-commerce to fintech to digital content, and we are immensely excited to prepare to deliver a new mobile network service to them this year, with the support of world-class technology partners such as VIAVI," said Tareq Amin, Chief Technology Officer, Rakuten Mobile Network. "As we aim to realize our vision for the world's first end-to-end cloud-native, nationwide mobile network, VIAVI's know-how and expertise in network testing will be key to building a high-quality, highly resilient network for our customers." Confluent, a start-up based in Palo Alto, California, announced $125 million in Series D funding for its live data streaming solutions based on Apache Kafka technology. The founders of Confluent created Apache Kafka while at LinkedIn to help cope with the very large-scale data ingestion and processing requirements of the business networking service. Apache Kafka, an open source technology created and maintained by the founders of Confluent, acts as a real-time, fault tolerant, highly scalable messaging system. It is widely adopted for use cases ranging from collecting user activity data, logs, application metrics, stock ticker data and device instrumentation. The company said 2018 was a banner year, with 3.5X subscription bookings growth year over year. During the year, the company launched its Confluent Platform 5.0, which introduced significant new capabilities, from making infrastructure more secure, reliable and easier to manage, to enabling more powerful applications with streaming data. Confluent made KSQL generally available and released theStream Processing Cookbook, which features KSQL recipes to solve specific, domain-focused problems using KSQL. The company also launched Confluent Hub, an online service for finding, reviewing and downloading extensions for the Apache Kafka and Confluent Platform ecosystems. The latest funding round was led by Sequoia Capital, joined by existing investors Index Ventures and Benchmark. This brings Confluent’s total funding to $206 million. F5 Networks reported $543.8 million for its first quarter of fiscal year 2019, up 4% from $523.2 million in the first quarter of fiscal year 2018. 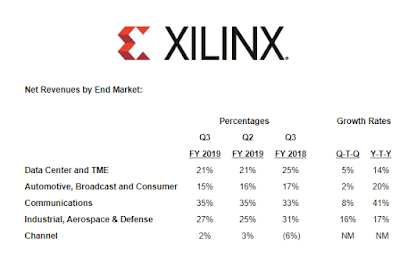 Growth compared with the first quarter of fiscal year 2018 was driven by continued momentum in software solutions, which drove year over year product revenue growth for the third consecutive quarter. GAAP net income for the first quarter of fiscal year 2019 was $130.9 million, or $2.16 per diluted share, compared to $88.4 million, or $1.41 per diluted share, in the first quarter of fiscal year 2018. Non-GAAP net income for the first quarter of fiscal year 2019 was $163.5 million, or $2.70 per diluted share, compared to $141.6 million, or $2.26 per diluted share, in the first quarter of fiscal year 2018. For its Q2 of fiscal year 2019, ending March 31, 2019, F5 set a revenue goal of $543 million to $553 million with a non-GAAP earnings target of $2.53 to $2.56 per diluted share. Xilinx reported record revenues of $800 million for the third quarter of fiscal year 2019, up 7% from the prior quarter and up 34% year over year. GAAP net income for the December quarter was $239 million, or $0.93 per diluted share. Non-GAAP net income for the December quarter was $237 million, or $0.92 per diluted share. "I am very excited to report yet another record revenue and earnings quarter. During the third fiscal quarter, we delivered revenues of $800 million, representing 34% year over year growth. Based on the guidance we are providing for the fiscal fourth quarter, we expect to exceed $3 billion in annual revenues for the first time in our history. In addition to the robust revenue growth, we also demonstrated strong profitability by posting over 60% growth in non-GAAP operating income and over 40% growth in non-GAAP diluted earnings per share year over year. We continue to execute to our strategy and drive growth across our portfolio," said Victor Peng, President and Chief Executive Officer. 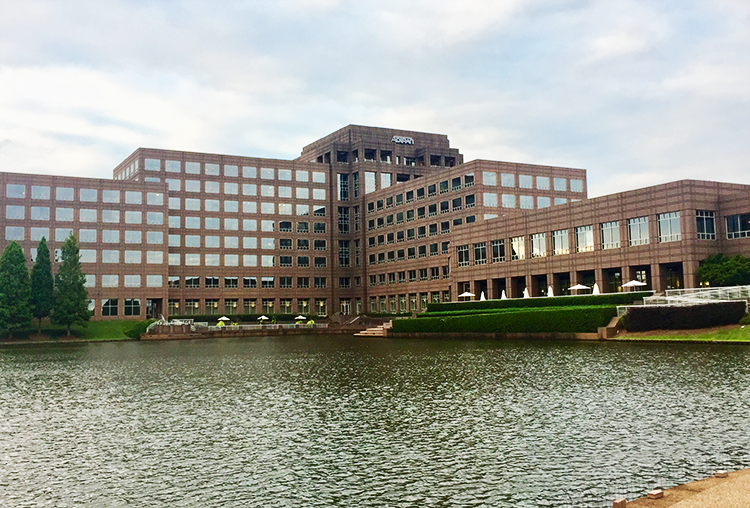 ADTRAN posted Q4 2018 sales of $140.1 million, compared to $126.8 million for the fourth quarter of 2017. Net loss was $8.4 million compared to a net loss of $11.1 million for the fourth quarter of 2017. Earnings per share were a loss of $0.18 compared to a loss of $0.23 for the fourth quarter of 2017. Non-GAAP earnings per share were a loss of $0.12 compared to earnings of $0.05 for the fourth quarter of 2017. ADTRAN Chairman and Chief Executive Officer Tom Stanton stated, “Operating results for the final quarter of 2018 came in largely as expected with strong international revenue growth and an increase in U.S. tier 1 sales allowing the company to offset its normal sequential seasonal trend. International revenue contributed 46.6% of the total with strong contributions from the Asia-Pacific and LATAM regions. Our customer engagements increased, centering around our comprehensive portfolio of software-defined access, 10G solutions and G.fast products. During the quarter, we also acquired SmartRG, a leading provider of open-source connected home platforms and cloud services, whose software approach to delivering both hardware-based and virtualized solutions will enable us to extend the value of our open, programmable and web scalable Mosaic Cloud platform." SANTEC introduced a high-power, durable LCOS spatial light modulator (SLM) with enhanced Liquid Crystal on Silicon (LCOS). The SLM-300 has been tested to withstand up to 200 Watts of power, making it the world’s most durable SLM. Target applications include high-power laser processing, 3D-Printing and IC trimming applications. Airtel has begun rolling out LTE in the 900 Mhz spectrum band in the states of Andhra Pradesh and Telangana. In Andhra Pradesh and Telangana, Airtel is already using 2300 Mhz (TD LTE) and 1800 Mhz (FD LTE) for its 4G network. The 900 Mhz deployment boosts in-building penetration. The carrier said it is also working on Massive MIMO and 4G Advanced and Carrier Aggregation to step up high speed network capacity and coverage. Recently, the company announced that it will expand its network in the Andhra Pradesh by rolling out 15,000 new sites and 3,000 km of optic fiber during FY 19 under its network transformation program – Project Leap.